Pokémon GO is sweeping the nation by storm. You can barely navigate the Internet without running into something Pokémon to related. You can barely navigate real life without running into someone playing Pokémon GO, if you’re in the city. ! 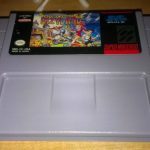 As popular as the game is, that doesn’t mean it’s perfect. In fact, it’s far from perfect and here’s why. If you’re in the city, then going to the park and hunting Pokémon, leisurely stopping by Pokéstops and nabbing materials along the way doesn’t seem like such a daunting task. If you’re in a rural area, say the countryside, you’re probably not having as much fun. I live in the country and as I watch people on forums collecting things as they sit in their offices or finding random ‘mons in their homes, I sit and stare at my game with disdain. Not only are Pokémon hard to come by in rural areas, but there isn’t much variety. More often than not, I’m swamped with Eevees, Rattatas, and Pidgeys. I could probably open an Eevee gym, you know, if there were more than two in my area. Pokéstops are far and few between as well. The closest I can get to a worthwhile Pokémon GO experience is by driving an hour away to my nearest large city. And that brings us to the game’s next problem: it’s not very social. 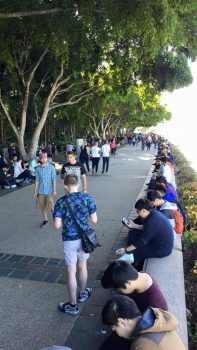 Sure, if you’re in the city, you’ve likely run across swathes of people playing Pokémon GO, making it possibly the most social game you’ve ever played. Me, though? Not so much. Because there aren’t many Pokémon around, finding other Pokémon GO players is just as difficult. There isn’t really a reason for all of us to go outside and run around the town since there isn’t anything here. 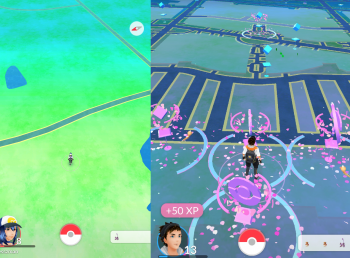 Without Pokéstops or a decent variety of Pokémon, Pokémon GO might as well be dead here. What’s one of the most basic application features we take for granted these days? Running in the background! 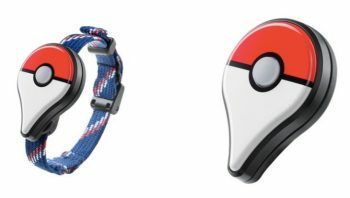 What’s something Pokémon GO doesn’t do without an additional accessory? Running in the background! Possibly the most frustrating part of this is that doing anything with Pokémon GO requires you to have the application up and running at all times. 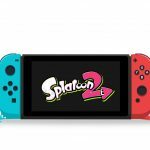 Things like hatching eggs or even discovering Pokemon cannot be done without keeping the app open and your eyes trained on that moderately-sized screen, unless you have the Pokémon GO Plus accessory. In that case, you can still find Pokémon and catch ones you’ve already caught. We shouldn’t have to pay extra for such a basic feature. What are the exact distances of the steps? How long is a kilometer for those who live in the US? Does the circle around your character mean one step? These are all questions I’ve seen people ask on forums or asked myself since Pokémon GO‘s launch. None of these features are explained in the game. Very little is explained, in fact. Just knowing how the “nearby” indicator works would go so far in helping the Pokémon GO community locate Pokémon. I’ve seen numerous fan theories about how the indicator works, but so far, none of them are correct and Niantic Labs isn’t giving us an explanation. 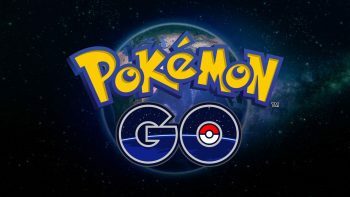 While Niantic Labs might have fixed the Pokémon Trainer Club’s login bug earlier this week, and solved most of the server issues, the game still has a few remaining bugs. The most annoying bug I’ve come across happens at the gym. When trying to capture a gym, the very last Pokémon at that rival team’s location gets down to 1hp and….nothing. They stop taking damage at that point, meanwhile, my Pokémon are fainting left and right. At this point, I’m giving up on gyms until this is fixed. Additionally, I’ve seen others whose app freezes as they’re capturing a Pokémon or just sitting idly.